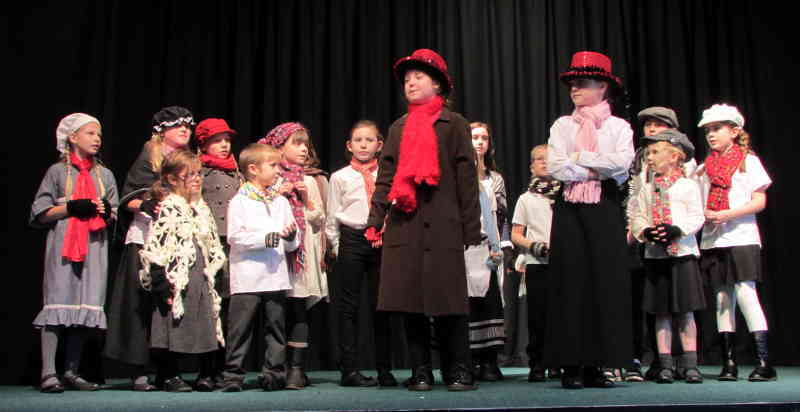 The SHOOTING Stars student’s performance of The SCROOGE SISTERS is full of fun, singing and fantastic acting. Based on the Charles Dickens story ‘A Christmas Carol’ the students perform this new musical adaptation by John Giller with great style and of course Christmas cheer. 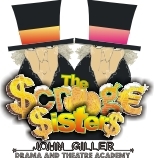 Em and Lisa Scrooge are the meanest sisters in town. Owning a counting house they are cruel to their workers. One Christmas Eve they are visited by three spirits. The ghost of Christmas past shows them what they were like when they were children, happy and enjoying themselves with their loving family. The ghost of Christmas present shows them what their own workers are doing for Christmas day and of course the ghost of Christmas future, where they find themselves in the local cemetery looking at their own gravestones. Full of songs, brilliant acting and of course Christmas cheer, this show is sure to please our audiences. 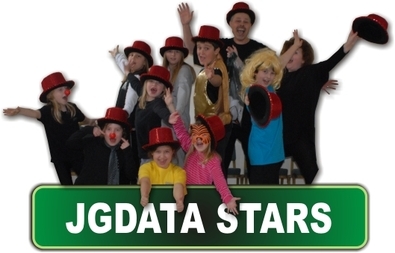 The SHOOTING Star Students performed this show three times at three different venues . . . 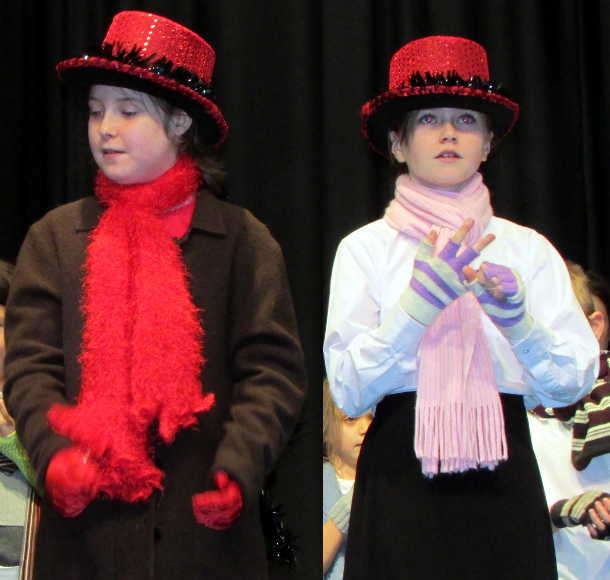 Here are Em and Lisa Scrooge in the Christmas Musical The Scrooge Sisters.